Do you know someone with a passion for motoring? If so, then a subscription to Auto Express magazine could be the perfect gift. 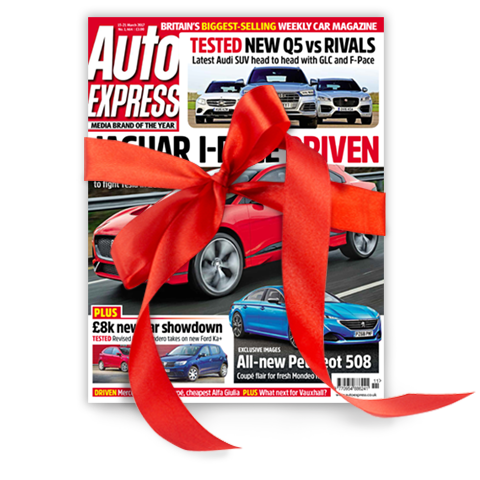 Save yourself 47% off the cover price with a gift subscription and your lucky recipient will receive Auto Express hot off the press each week. You can arrange for Auto Express magazine to be delivered straight to their door with just a couple of clicks of your mouse. I bought this magazine subscription for my husband's birthday, but I nearly always end up reading it first! It contains interesting articles and lots of information to help guide you as to the best cars for your lifestyle and needs. We used the magazine to help us to choose our family car and haven't looked back!